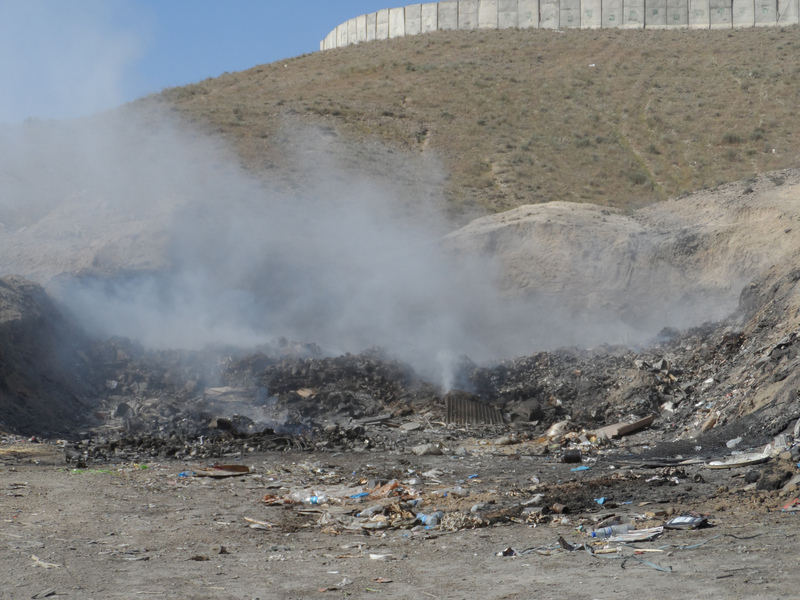 An open air burn pit at Forward Operating Base Sharana in Afghanistan. Waste disposal practices by the military during deployment have been a longstanding issue of concern due to the health and environmental risks that poor standards pose, for both personnel and nearby communities. Credit: SIGAR. Military activities have the potential to harm the environment, and human health, in a number of highly visible ways. The tendency to focus on environmental damage caused during active hostilities often diverts attention from the impact of regular operational activities, whether at home or abroad, from operational practices during periods of occupation, and from the environmental costs of demilitarisation and legacy wastes. Militaries worldwide have been slow to develop environmental policies and, where they have, they have often had to face the legacy of their own activities that in many cases took place with little regard for their environmental consequences. Efforts to determine the uptake of environmental policies globally is complex, and hampered by a lack of transparency. It is also skewed by the historical activities of different states, for example the extent of their overseas bases or the nature of their armed forces. For large militaries, the process is made more complex with elements of the organisation progressive on particular issues but regressive on others. The development of environmental standards in military practices is ultimately constrained by the inevitable footprint of their operations. Emissions from vehicles and aircraft that are not designed for fuel economy, landscape damage and contamination from training areas, and high resource consumption in settings with minimal logistical or waste management infrastructure, are just a few of the factors that have historically underpinned arguments that military activities should be exempted from environmental protection norms. Western militaries have faced increasing domestic environmental regulation in the last two decades, particularly over emissions from training areas and facilities. Frameworks governing the use and management of chemicals are also slowly forcing changes in standards, as are measures to reduce the exposure of personnel to toxic substances. Fuel and energy consumption are also being addressed, although economic and operational factors are the primary drivers. But as with all large entities, institutional inertia over accepting environmental standards is a significant barrier to change, even where environmental sustainability has demonstrable benefits for operational success. Nevertheless the fact that many traditional military activities are inherently unsustainable ensures that greenwashing is commonplace, for example in promoting conservation narratives around military estates or overseas bases to deflect scrutiny of environmental damage. Similarly a high reliance on particular substances or practices has often led to political interference in environmental and public health assessments. Finally, the enormous costs often associated with remediation, and with it the fear of setting precedents over liability – particularly for overseas facilities – continues to undermine environmental conduct. In recent years, work has been undertaken to enhance the environmental sustainability of peacekeeping operations mandated by the UN Security Council. Research, and high profile incidents such as the outbreak of cholera in Haiti in 2010, had shown that managing the environmental footprint of UN operations was vital for ensuring positive relations with host communities. Effective waste management and efforts to minimise the use of water resources in arid regions were viewed as a priority.1 The principle is now broadly accepted by UN Security Council members although implementation is still subject to cost benefit analysis.2 Consideration is also given to historical and cultural heritage in the areas of deployment and how segments of the population may be differently affected by environmental degradation.